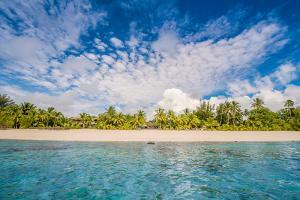 Located in the heart of the South Pacific, this resort is about 5 minutes from Rarotonga International Airport. The Anchorage Restaurant - innovative island cuisine and open air dining. Safari Tours, Kayaking, Lagoon Cruises, Deep Sea Fishing, Snorkelling, Scuba Diving, Whale Watching, Golf.